Discovered by chance by a farmer in rural Normandy while plowing his field, the Berthouville Treasure is the largest and best-preserved hoard of silver from the ancient world. Gilt-silver statuettes and vessels—about ninety silver pieces weighing over fifty pounds in total—had been buried in a brick-lined cist during antiquity. Located in an area of ancient pilgrimage, assembly, and spectacle, the site was a Gallo-Roman religious sanctuary devoted to Mercury Canetonensis. The temple treasure includes elegant representations of Mercury as well as other pieces illustrating vivid episodes from the Trojan War or theatrical Bacchic scenes. A striking example of the cross-cultural interactions between Roman and indigenous Gallic culture, the Berthouville Treasure showcases the accomplishments of ancient silversmiths as well as fascinating aspects of Roman culture and religion in Gaul. 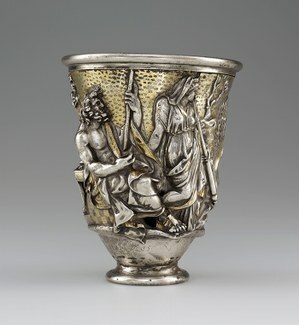 For its presentation at the Institute for the Study of the Ancient World, the Berthouville Treasure will be joined by approximately seventy-five other luxury objects from the collections of Bibliothèque nationale de France including silver platters, cameos, gems, coins, and jewelry. 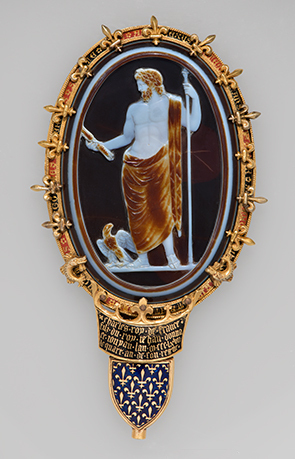 Such prestige objects were not only used as votive offerings to the gods, but also functioned in daily life as signs of their owner’s wealth, power, and refinement. 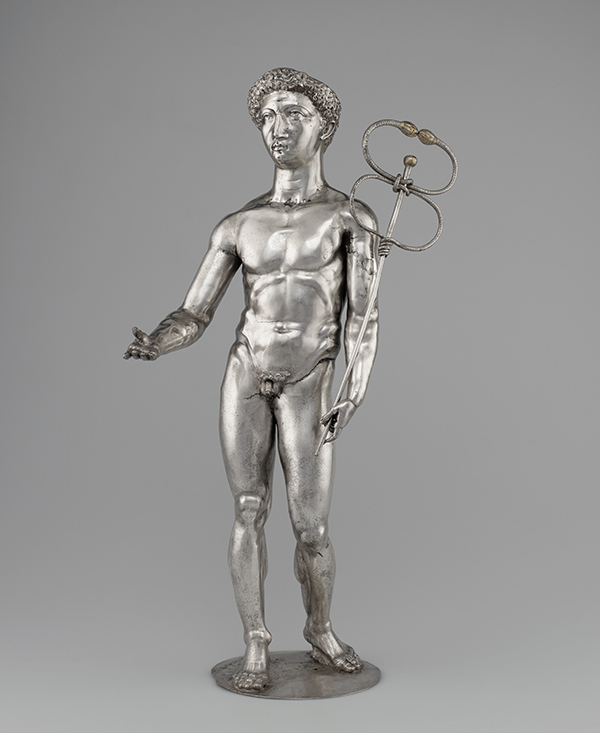 Devotion and Decadence: The Berthouville Treasure and Roman Luxury provides an exceptional opportunity to explore the significance of Roman luxury arts and its role in different devotional and cultural settings. This exhibition is made possible by generous support from the Selz Foundation, The Achelis and Bodman Foundation, and the Leon Levy Foundation. Additional funding was provided by Frances Marzio and the Samuel H. Kress Foundation.